It will be deleted on December 1st 2013 – All the money from this release will go to the Red Cross appeal. December 11th 2009 wasn’t quite the coldest night for a hundred years, but it was getting there. A turbid Mersey fog obscured the city’s twin cathedrals and pressed itself against the steamed up windows of the Static Gallery. Indoors, a retired and tipsy merchant sailor told tall-tales from his cabin opposite the bar, while the newly arrived blew on their fingers in an attempt to get warm. Dressed in Norwegian naval shirts, woollen U-boat trousers and tugboat sweaters, lack of heat wasn’t going to be a problem for the band, and if we were about to suffer for our art with the evenings nautical theme then by God our audience would too. Dressed in submariner jumpers and pea-coats, striped t-shirts and sailor dresses, long-time fans descended the stairs and took their places before the seaweed and fishing net covered speakers. As d.J. for the evening, Will Sergeant played Charles Trenet’s ‘La Mer’, backstage; rum was being drunk to quell the band’s nerves. 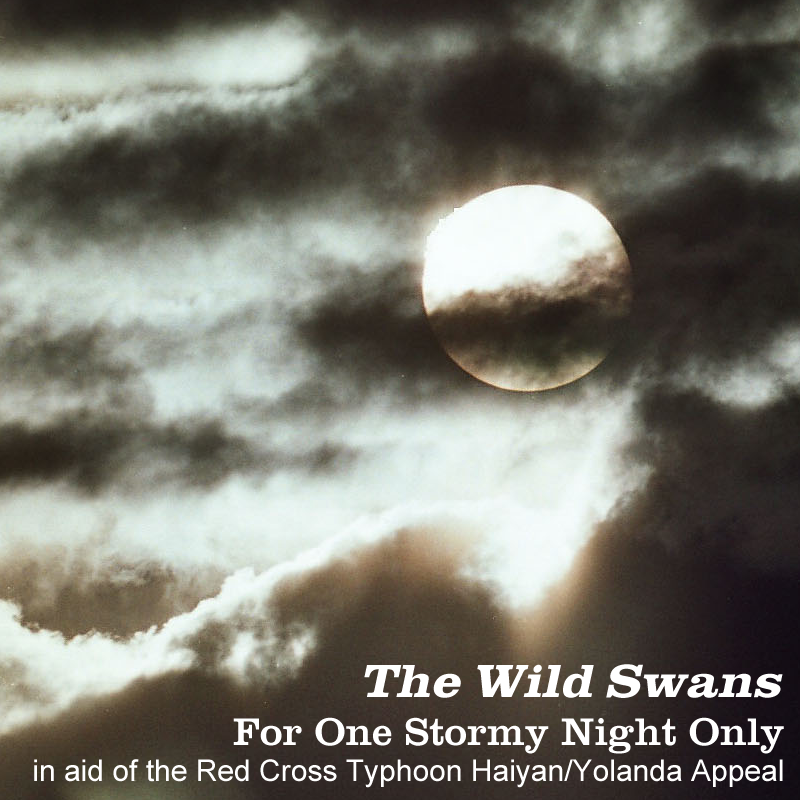 The Wild Swans had experienced a bad few days, so bad in fact that the gig was nearly cancelled. Mike Mooney was near hallucinating on strong painkillers after pulling his back, Les Pattinson and newest-recruit Richard Turvey were nervous and worst of all Ricky Mayme and I fallen out. Only drummer Steve Beswick, dressed in full naval ratings uniform looked remotely composed. July’s comeback gigs had been a triumph for us but tonight we were edgy and just a little under-rehearsed. As the beautiful theme from Robinson Crusoe played over the P.A. we lined up to walk onstage. No group hugs, motivational high-fives or prayers to the creator, just one last deep and fiery swig of rum each. “Its’ blowing up a bit rough out there”.